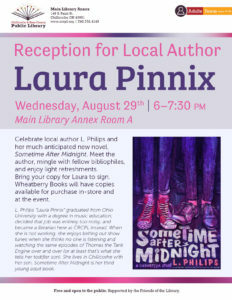 L. Philips (the nom de plume of Laura Pinnix) is a librarian and writer from Chillicothe. 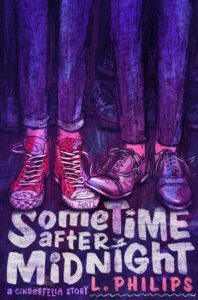 Her most recent novel, Sometime after Midnight, was just released. 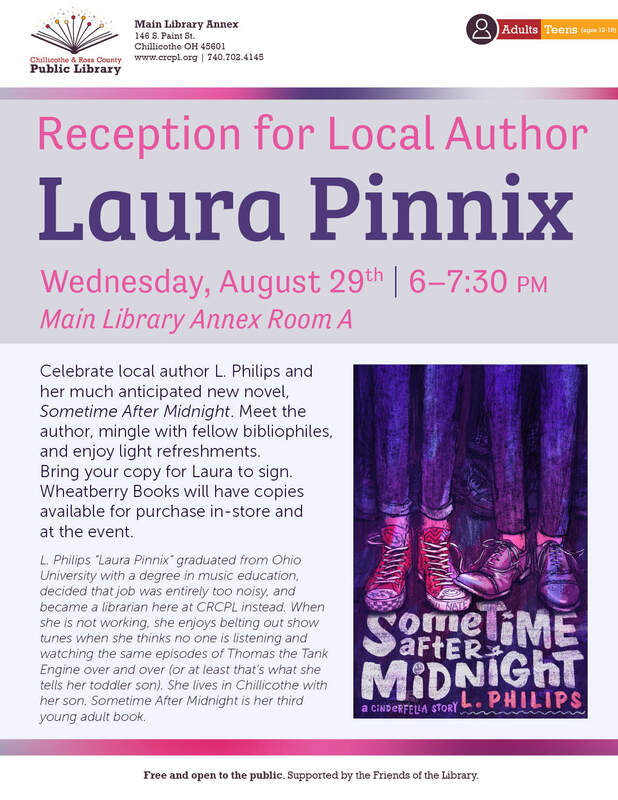 You can meet Philips at the Main Library Annex on August 29. In preparation for that event, we asked her a few questions. Librarians often visit other libraries when they travel. Do you do that? Do you visit literary sites? Any library and/or literary selfies to share? I always try to visit libraries! It’s kind of a cheat, but the British Library was my favorite because of the music scores they have. It was fascinating seeing Mozart’s handwriting (hasty notation and stained with wine) vs Bach’s (very exact and crisply clean) vs Beethoven’s (VERY messy and with a heavy hand). 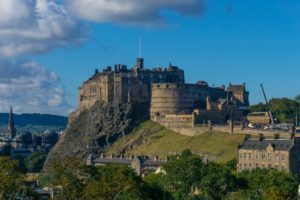 I’m a sucker for literary sites as well. 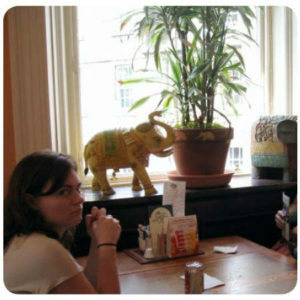 My favorite that I’ve been to (even though I do NOT look happy here, I think the camera caught me by surprise) is the Elephant Café in Edinburgh, which is where JK Rowling wrote the beginnings of Harry Potter. We sat at her table, which has a great view of the castle. No wonder she came up with Hogwarts! Who is your literary hero? Literary nemesis? Can I say Severus Snape for both? He’s just about my favorite character in anything because he’s deliciously complex. My heart breaks for him, but also, the way he treated the children can’t be excused. Do your books exist in the same universe? How do you think the characters would interact with each other? 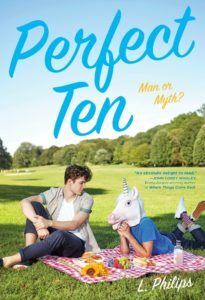 Perfect Ten and Sometime after Midnight are in the same universe, with one overlapping character. There are a few years in between, and this character, Travis, goes from being an aspiring rock star to actual rock star in that time. He’s the only link, though, between the main characters of each book. I honestly think Nate from Sometime after Midnight would find Sam from Perfect Ten obnoxious. Landon and Cameron, though, would adore each other. Why is representing diversity and inclusion important to you? I was a teacher for years before I became a librarian, and I saw so many kids struggling to understand themselves and the world around them. When kids see themselves in stories, I think they feel a little less lost and a little more confident about who they are. I started writing years ago with specific kids in mind, but somehow that’s the easiest way to write more universally. How many unpublished/half-finished manuscripts are in your closet? Oh gosh, probably 4 or 5 at least. What got left out of this book? There was supposed to be a trip to New York, with one of the characters sort of retracing his late father’s footsteps there. I still love the sentiment of it, but it slowed down the pacing at a point in the book where the pacing really needed to move. Which one person (living or dead) do most want to read your book? 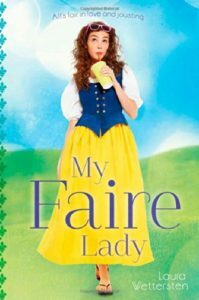 What would that person’s review of your book say? I really admire David Levithan (who is very much alive), both his writing and his editing. If he reviewed this book, I’d hope he’d say that this was the kind of book he was hoping to see after his own Boy Meets Boy came out. If you want to learn more, be sure to come to the reception on August 29!